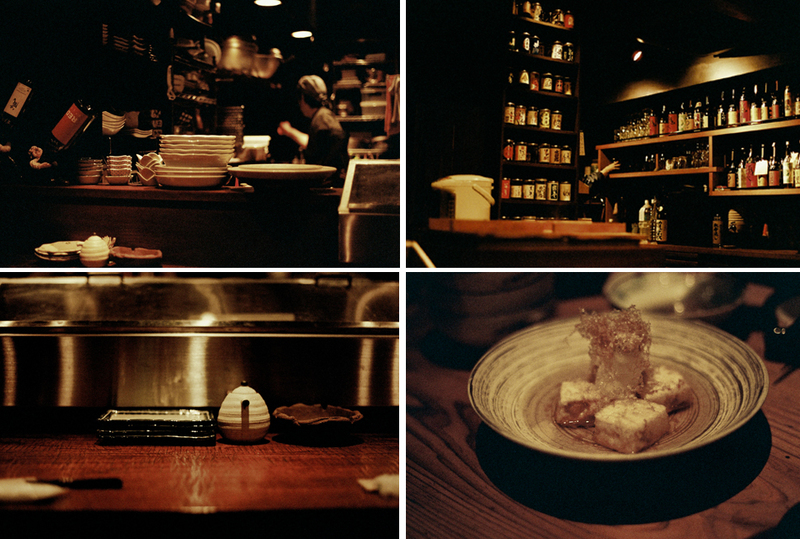 Izakaya are traditional Japanese pubs, often small and intimate, cozy and comfortable. Drinks are served with small dishes that are shared with your table. My first authentic izakaya experience in Tokyo was with two Frenchmen at a spectacular and sophisticated hole in the wall in Ebisu. Literally. We walked up to a wall, they pushed a button and the wall opened into a heavenly little wonderland where we feasted on eel and tuna and edamame, scallops and chicken wings and beer. Unfortunately, my most recent izakaya was less than stellar. There was the secret, tucked away ambiance and all the coziness one would hope for, but there was also bitter stewed radish with mustard, overcooked eggs and crunchy yakitori (read: the parts of a chicken you aren’t supposed to eat). I spit the latter into my napkin. But then the chef made agedashi tofu for me, even though it wasn’t on the menu, roasted two eggplants to a smoky perfection and delivered the frostiest glass of ume plum wine. Despite the lump of awful memory lingering in my napkin, all was forgiven. This entry was posted on Thursday, September 3rd, 2009 at 11:48 pm	and is filed under Eating, Film, Japan, Tokyo and tagged with Film, itzakaya, Lucky Super 200, Mejiro, Tokyo. You can follow any responses to this entry through the RSS 2.0 feed. Ever since forever I had a fascination with Japan but somehow in the time since I have never even visited. Not once. 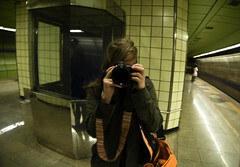 Too many other places to go, and other people’s reasons to take into account. So I can’t tell you how glad I am that you’re serving up slices of Japan in your photos on this blog.